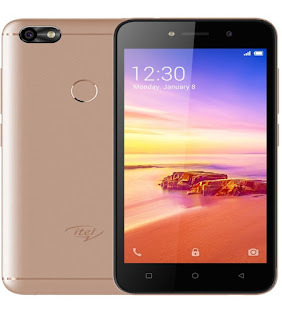 One of Africa’s leading OEM brand itel recently launched another amazing smartphone into the market and this device which is nicknamed itel A32F, is itel’s first affordable smartphone with a top-of-the-line fingerprint scanner. Before the launch, many tech pundits and some rumour mongers declared the device as one in which users should anticipate and true to their words, the device is one to be owned. Living up to the expectations of what itel is known for- its reliability, durability and being affordable, the itel A32F will give smartphone enthusiasts more than what they bargained, as the features that come with the device is extremely ready for work. The device which is itel’s first entry-level smartphone with a fingerprint security sensor, is not only big in the security department but also big in other specifications, but it’s very important to note that the fingerprint security scanner for a smartphone as affordable as this one is quite rare in most entry-level smartphones – so, this is definitely a plus for itel. In the camera department, the camera setup on the device may not be so big on the pixel front, but with its averagely good 5MP +2MP front and rear camera respectively combines good camera features with a ravishing display and there are some massive improvements on the specifications, battery and storage capacity. All these are wrapped in an attractive aesthetics. Forget it, the new itel A32F is a beautiful smartphone. Its matte unibody fits perfectly in the hand. I personally think the design team at itel Mobile did wonderfully well on this device. The 5.0-inch display is sharp and bright, and its amazing glass screen also gives the device the perfect protection against cracking even if it falls from the hand.